A medical expert has testified for the plaintiffs in a lawsuit filed by news organizations which seeks more information about the administration of the death penalty in the state of Arizona. The doctor took the stand early in the proceedings to testify that without full disclosure about the lethal injection process, medical professionals are unable to evaluate so-called botched executions to determine if the condemned suffered. The lawsuit challenges Arizona law which limits access to information about the death penalty procedure. The Associated Press leads a lawsuit filed by several news organizations against Arizona which alleges the state’s current practice of limiting information about the administration of the death penalty unlawfully denies the public an opportunity to evaluate fairly whether or not the procedure is carried out by qualified professionals using a drug cocktail which does not cause extreme pain. Current Arizona law strictly prohibits the dissemination of information which would identify persons serving on an execution team, and state officials have applied this confidentially protection to suppliers of the drug. 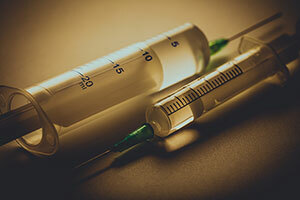 The plaintiff news organizations argue that this level of confidentiality allows Arizona to carry out the death penalty without accountability for its use of potentially painful drug cocktails or the qualifications of the execution team. The lawsuit was filed after the 2014 execution of Joseph Rudolph Wood, which gained national attention as a potentially botched execution due to irregularities during the procedure. Wood, who was given 15 doses of the two-drug cocktail Arizona employs during executions, did not die until two hours into the process, prompting many to express concern about whether or not the penalty is humane. The lawsuit against Arizona claims that without additional information about the execution team or the supplier of the drugs, the public will not be able to evaluate the procedure properly. Arizona’s attorneys have responded that confidentiality is necessary for the lethal injection team to carry out the key duties of their jobs. Attorneys representing the news organizations challenging Arizona’s death penalty confidentiality rules began their case with a medical expert witness called to testify about the inadequacy of information regarding administration of the state’s executions. Dr. David Waisal, an expert in anesthesia working at the Harvard Medical School, testified regarding the two-drug cocktail that Arizona uses in its lethal injection procedures. According to Dr. Waisal, members of the public — including the news reporting on the executions – are not provided with access to the information that is necessary to determine if the executions are being carried out properly. Dr. Waisal, who is familiar with the chemical composition of anesthetics, told the court that Arizona’s confidentiality law prevents objective review of the death penalty cocktail. Further, Waisal testified that information that the state does provide — which is the type of drug — is not sufficient to analyze the chemical composition. According to Dr. Waisal, this detailed level of analysis is required in order to determine whether or not the drug cocktail is performing as expected and not causing pain and suffering during the execution process. The plaintiffs offered Waisal’s expert testimony to support their argument that the public has a right to understand the details of Arizona’s execution procedures in order to make a decision about continued support, but under the current legal structure the available information to make such a decision is not sufficient. Attorneys for Arizona have argued that confidentiality of drug suppliers and death penalty officials are necessary in order to the process to function as intended. Arizona prison officials have maintained that should the identity of the execution team be revealed, public backlash against them for taking part in a controversial practice could compromise their ability to perform key duties during an execution. It is not hard to imagine that drug suppliers could face similar public backlash should their identity be revealed, which could in turn result in companies refusing to sell the necessary drugs to Arizona’s prisons. While the motives for the lawsuit compelling Arizona to reveal information about the drug supplier and the execution team are not directly anti-death penalty, the possible consequence that the state’s use of capital punishment could suffer is likely intended. Opponents of the use of the death penalty have rallied around several questionable executions over the last few years. Dr. Waisal testified about concerns over drug cocktails for parties attempting to halt Arkansas’s recent controversial attempt to execute eight inmates in two weeks. Opponents argue that litigation compelling open reporting of death penalty proceedings would increase scrutiny on capital punishment. Late last year, the news outlets earned an early victory in the case when a judge ordered a witness present for the entirety of executions in Arizona, and as the litigation continues the plaintiffs will push hard for complete transparency.